President Obama signed the Defend Trade Secrets Act (DTSA) into law on May 11, 2016. This law amends the Economic Espionage Act and gives businesses the right to bring a civil action for trade secrets theft in federal court. Copyrights, patents, and trademarks are litigated in federal court—this legislation affords trade secret holders the same protection and allows for the development of consistent case law. Prior to this act, trade secret civil lawsuits, unlike patents, trademarks, and copyrights, were litigated on the state level. Although the Uniform Trade Secrets Act influences each state’s approach, there are inconsistencies in how the UTSA is applied, leading to conflicting outcomes. The DTSA does not preempt current state laws, but will co-exist with them. As many of you know, one of the biggest advantages that we’ve got in this global economy is that we innovate, we come up with new services, new goods, new products, new technologies. Unfortunately, all too often, some of our competitors, instead of competing with us fairly, are trying to steal these trade secrets from American companies. And that means a loss of American jobs, a loss of American markets, a loss of American leadership. What these members of Congress have done is to, on a bipartisan basis, pass a strong enforcement bill that allows us not only to go after folks who are stealing trade secrets through criminal actions, but also through civil actions, and hurt them where it counts in their pocketbook. Brooklyn Law School’s Trade Secrets Institute includes a database that tracks cases, pleadings, and statutes dealing with trade secrets law. 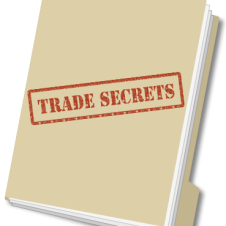 Orrick, Herrington & Sutcliffe LLP offers a compilation of state trade secret laws. Obama Signs Bill to Deter Theft of Trade Secrets, N.Y. Times, May 11, 2016.